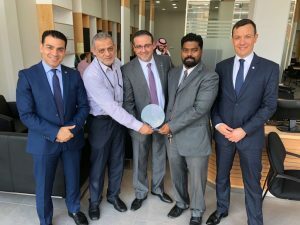 Arjaan by Rotana, Dubai’s finest hotel apartments located in Media City, announced the conclusion of its annual GCC roadshow across key markets in the region. 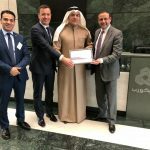 Members of the top travel trade, full delegation of Arjaan by Rotana, top government and corporate companies present at the roadshow were informed on the most recent developments at the hotel. The prominent team behind Arjaan by Rotana revealed its tremendous performance status over the past year and shed light on growth, expansion developments and business strategies for 2018. The hotel also showcased its newest facilities including redesigned rooms, suites and lobby, food and beverage facilities and other services at the hotel. Ayman Ashor, General Manager at Arjaan by Rotana said, “As Arjaan by Rotana’s presence in the Middle East continues to expand and given the importance of the GCC market to the group, our key focus is to continuously nurture relationships with existing partners as well as build new relationship through tailored initiatives such as the annual roadshow. What distinguishes Arjaan by Rotana is its luxurious spacious rooms and suites that offer unique experiences, which is the message we were trying to deliver throughout the event”. Arjaan by Rotana experienced an overall of 80.4% occupancy rate in the year of 2017, equivalent to 49,004 rooms booked throughout the year, attracting visitors mainly from UAE, GCC countries and Europe. The hotel has benefitted immensely from local, regional and overseas visitors coupled with a strengthening consumer confidence.